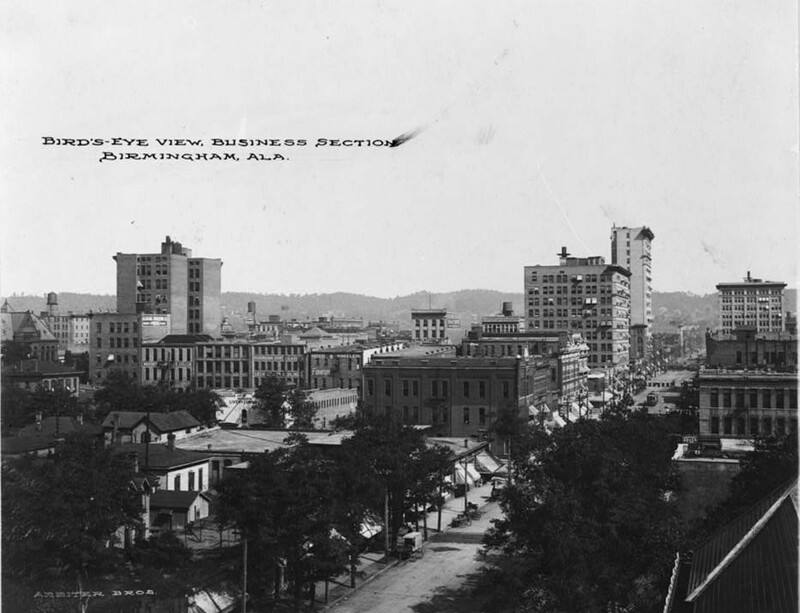 The “city” of Birmingham was incorporated by the legislature, December 19, 1871. 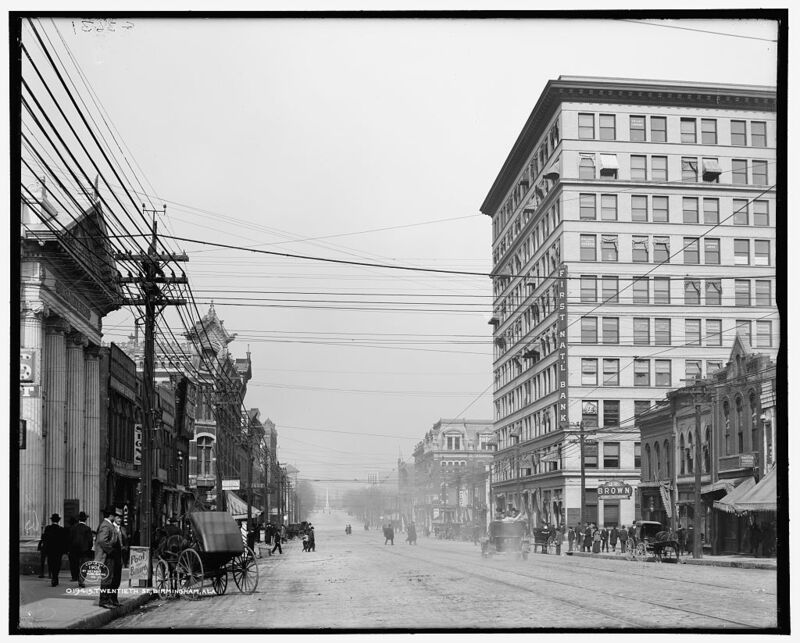 Birmingham was founded in July 1871, through the merger of three pre-existing farms towns by an association of business men and financiers, of whom Josiah Morris, of Montgomery, was the leader. 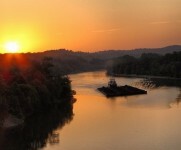 The site selected was near the village of Elyton and at the point where the Alabama Great Southern Railroad, between Chattanooga, Tenn., and Meridian, Miss., crosses the South & North Alabama Railroad (Louisville & Nashville Railroad). The occasion for establishing a city there was the mineral resources of the vicinity, which centered in the neighborhood of the place selected for the railroad crossing, mentioned; but until transportation facilities were provided by the coming of railroads, little or nothing could be done toward developing the natural wealth of the country, however, great it might be. Thus the founding and the striking growth of the State’s industrial center have been determined by the location of extensive mineral deposits and the provision of adequate transportation for raw materials and finished products. 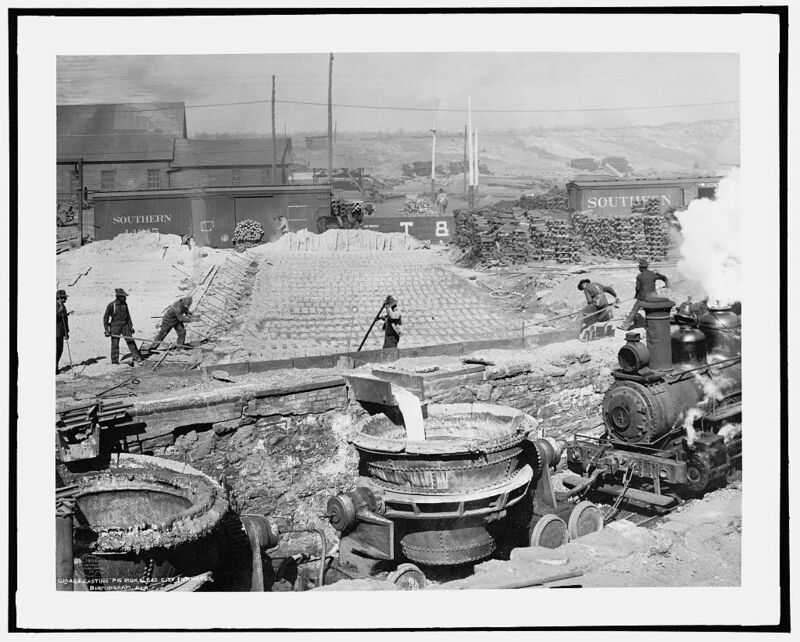 It grew from there, annexing many more of its smaller neighbors, into an industrial and railroad transportation center with a focus on mining, the iron and steel industry, and railroading. 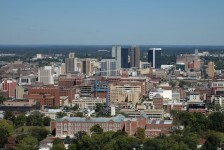 Birmingham is situated in the east-central part of Jefferson County, in Jones Valley, and in the midst of the most extensive mineral district of the State. The valley was once a mountain and is wholly due to erosion, having been cut out of the mountain-top by the action of the water. Thus it presents the unusual spectacle of a valley which is a water-divide. The streams that rise within its limits flow some to the east and some to the west. None flows for any considerable distance within the valley before breaking through its rocky rim to the rugged country outside. The floor of the valley for most of its length is higher than the mountainous country surrounding it, and its raised edges or rims of millstone grit are the highest points of the locality. These facts cause the site and surroundings of the city to be exceedingly picturesque and also have a marked influence on its climate. Some of the most attractive residential sections are in the rolling parts of the city and its suburbs. The geological formations represented in the valley are the Carboniferous or Coal Measures, Devonian or black shale, and the Silurian. 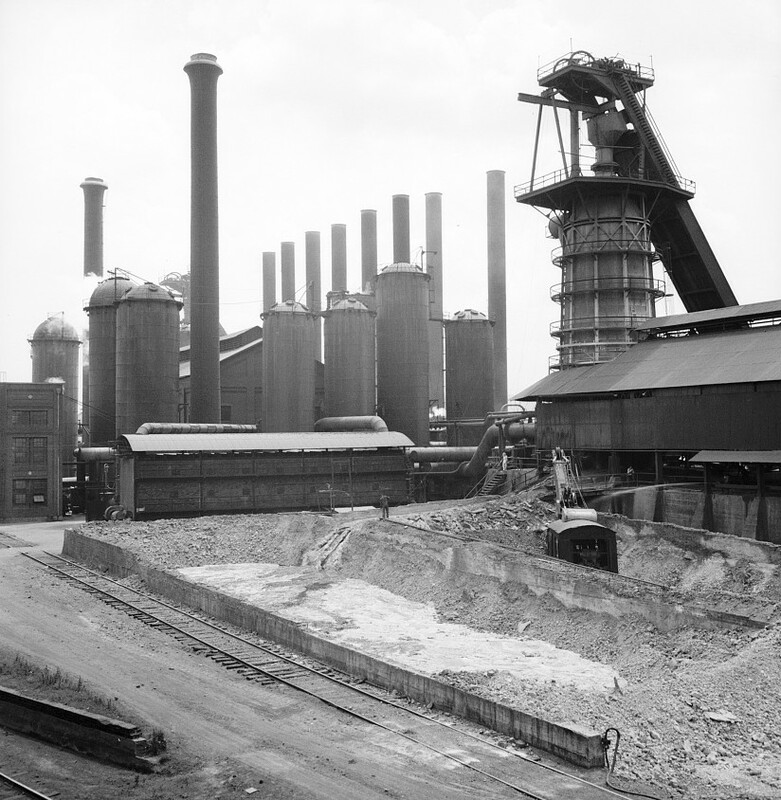 The first-named group contains the coal seams; and the last-named, the iron ores and fluxing materials. 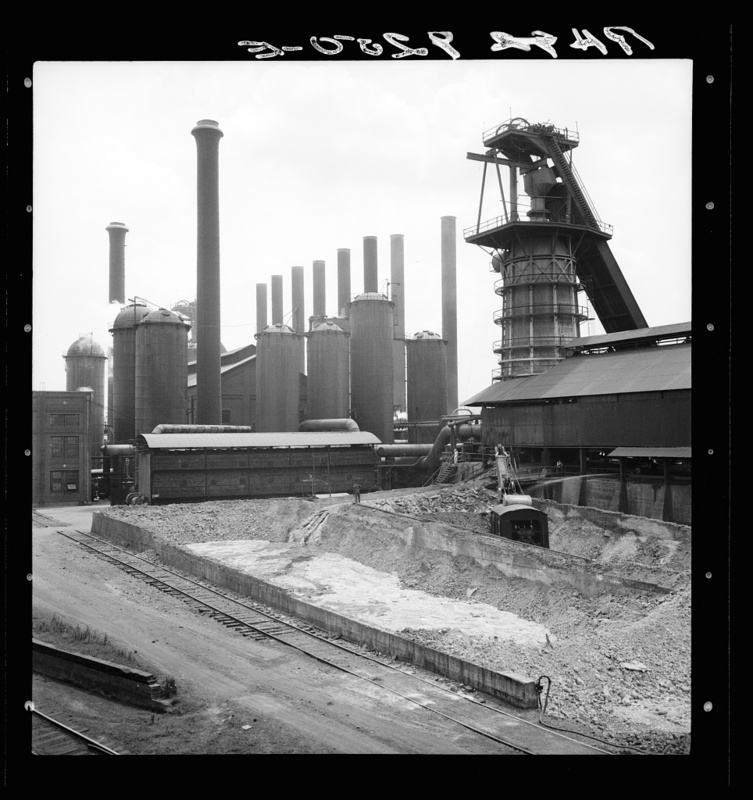 Nowhere else in the State, nor in the United States, are the three essentials to the manufacture of iron and steel, coal, iron ore, and limestone, present in such close proximity and in practically unlimited quantity. 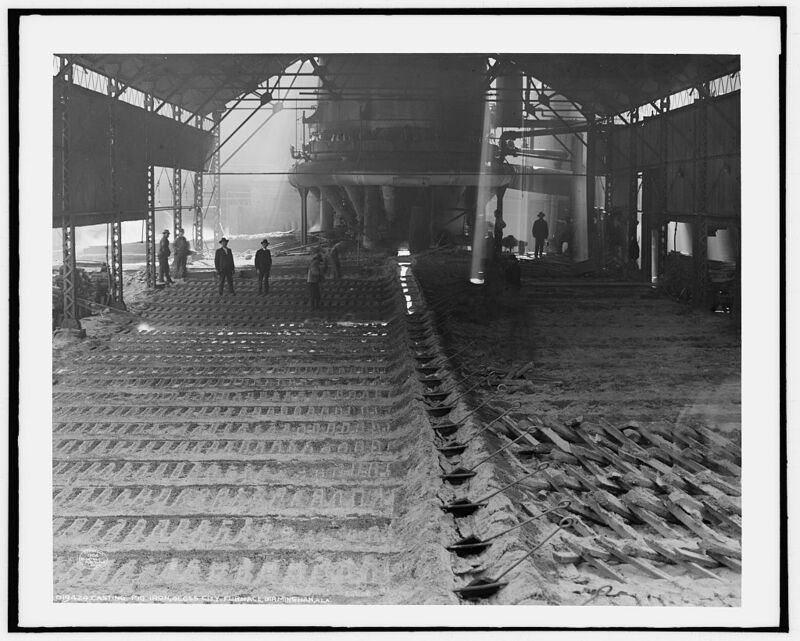 This fortunate circumstance has enabled the manufacturers of the Birmingham district to make iron and steel more cheaply than others, and, as a result, practically to control the market price. 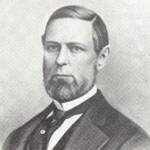 The plan for developing an industrial city in the heart of the mineral district originated with John T. Milner, the engineer who located the line of the Tennessee & Alabama Central Railroad, which was virtually the same as that on which the South & North Alabama Railroad subsequently was built. 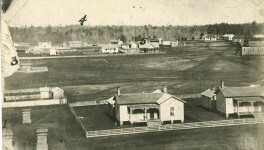 The financing of the town-building scheme was handled by Josiah Morris, a friend and business associate of Milner, who purchased about 4,000 acres of land in what is the central part of the present city in 1870, paying $100,000, or approximately $25 an acre, for it. 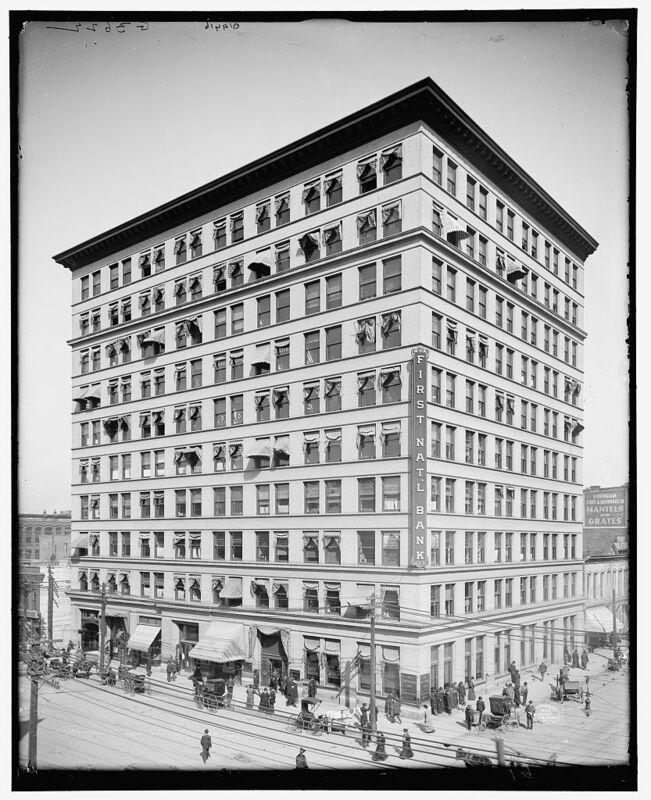 In 1871 he and several associates, among whom were James R. Powell, Sam Tate, Campbell Wallace, H. M. Caldwell, Boiling Hall, J. N. Gilmer, B. P. Worthington, Robert N. Greene, W. F. Nabers, John A. Milner, and William S. Mudd, incorporated the Elyton Land Co., capitalized at $200,000, for “the buying lands and selling lots with the view to the location, laying off and affecting the building of a city at or near the town of Elyton . . .” James R. Powell was president. 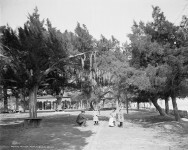 The land in Jones Valley purchased by Mr. Morris was transferred to the company at a valuation of $200,000 and this constituted the capital stock, which was divided into 2,000 shares. 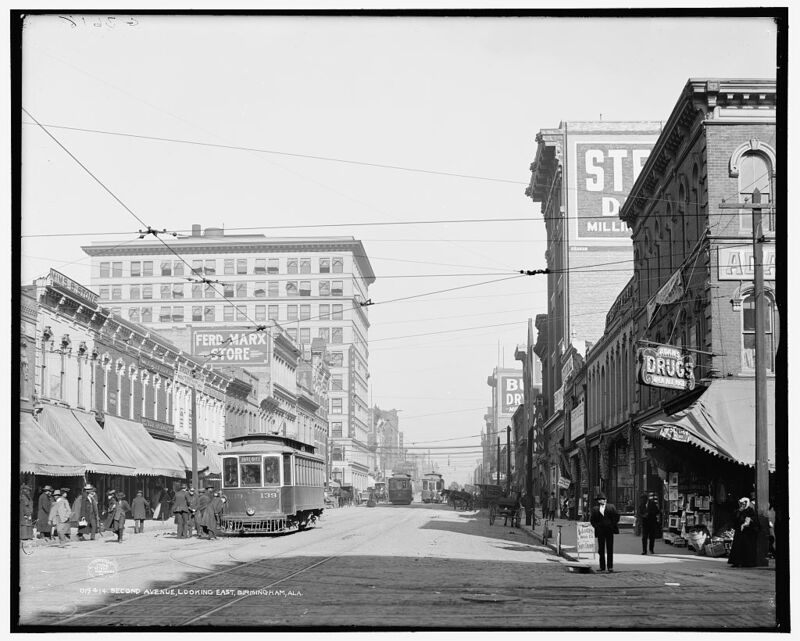 “When this good town of Birmingham was organized, there was a great discussion as to the name that would be given it. Some suggested calling it Powellton after Colonel Powell, at the head of the Elyton Land Company; others wanted to name it Milnerville or Morrisville. 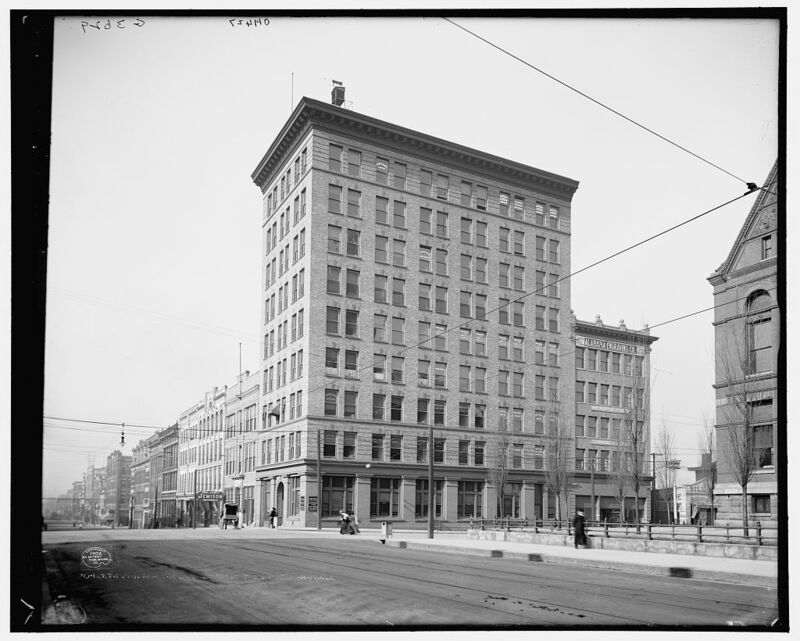 The name Birmingham was then suggested and adopted; and the principal industrial center of the State, and of the South, which then existed only in the imagination of its promoters, was named for the seat of iron manufacture in England. Soon after the organization of the company, a few sales of land were made, and the building of the town had been started. The first building on the site was a small frame blacksmith shop. 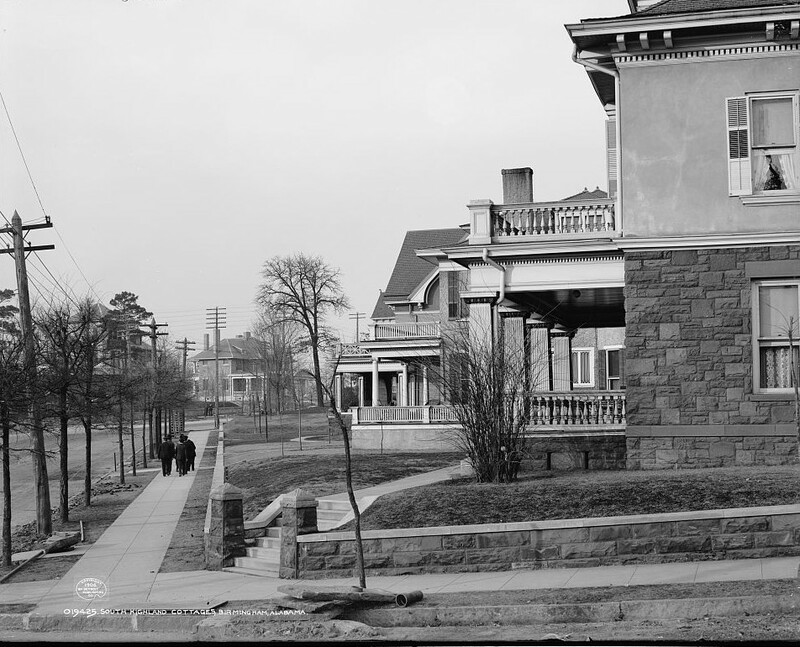 The first town lot sold was the northeast corner of 19th Street and Second Avenue, 50×100 feet, which was deeded to O. A. Johnson, October 26. 1871, for $75. One-half this lot has since been sold for $175,000. 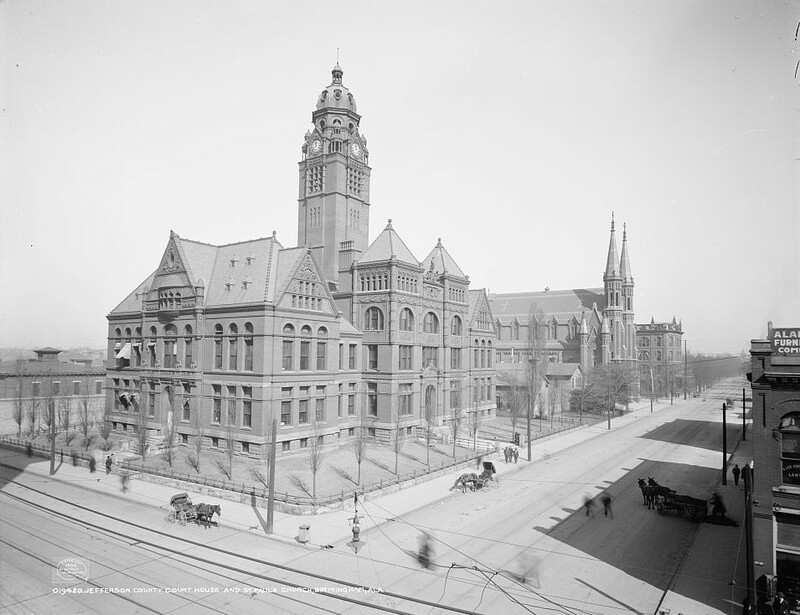 The increase in the population of the city of Birmingham has been phenomenal, and has been referred to by statisticians as “the census wonder of the country.” The rapidity of the progress made is exhibited by the following population figures: 1880, 3,086; 1890, 26,178, an increase of more than 748 percent; 1900, 38,415, 46.7 percent; 1910, 132,685, 245.4 percent. The increase from 1900 to 1910 is partly accounted for by annexations of suburban territory to the city proper. 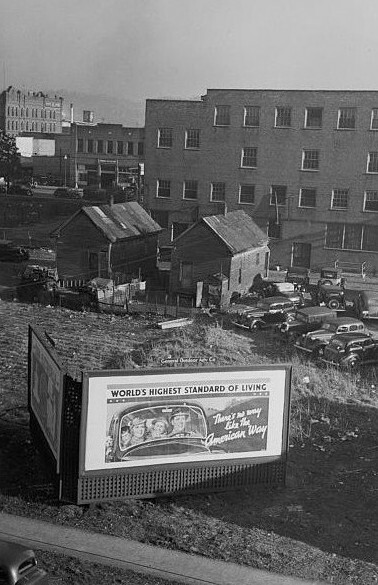 Its growth in population, wealth, and commercial importance has caused the city to be given the popular name of Magic City. 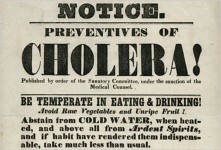 In 1873 the young community was almost depopulated by an epidemic of cholera; and in the same year, its financial ruin was all but completed by the financial panic which began in New York on the famous “Black Friday” in September. The town’s recovery from these disasters was slow. During the succeeding 10 years, its promoters had to struggle to prevent the collapse of the whole enterprise. The market value of stock in the Elyton Land Co. fell as low as 17 cents on the dollar of par value. There were for several years practically no sales of lots, amounting in 1874 only to $7,955.83. 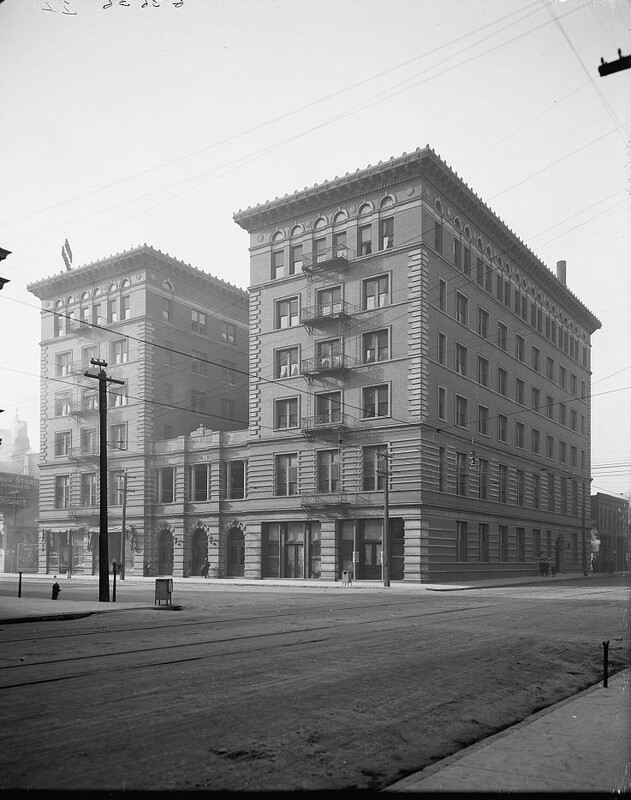 From 1873 to 1878, inclusive, the aggregate sales of property amounted only to $55,516.70. Five years later the remarkable growth of the town had set in, and the value of the property transferred had increased proportionately. 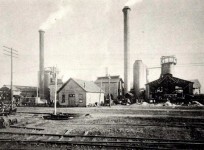 In 1883 the Elyton Land Co. paid its first dividends. 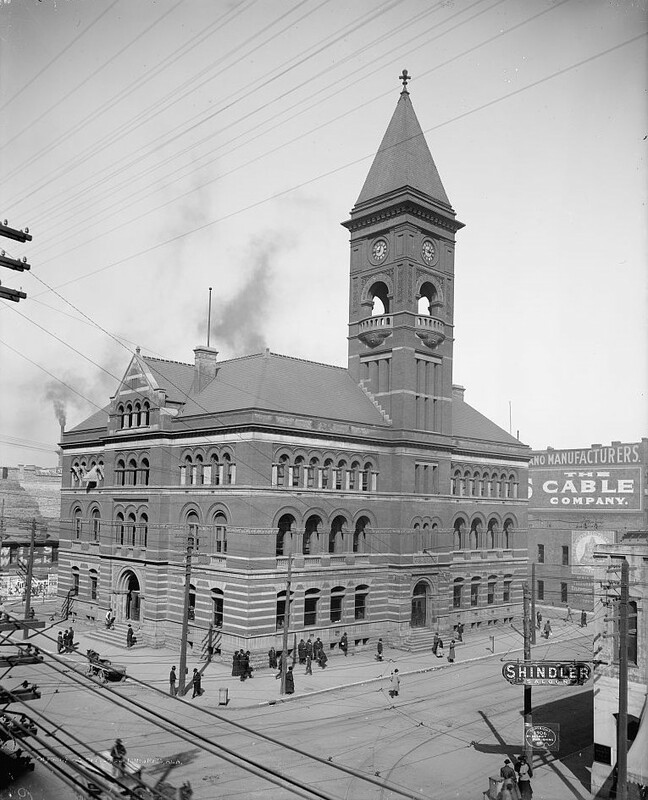 In 1886 it declared a dividend of 340 percent. In each of two months of the latter year, the land sales aggregated more than a million dollars. 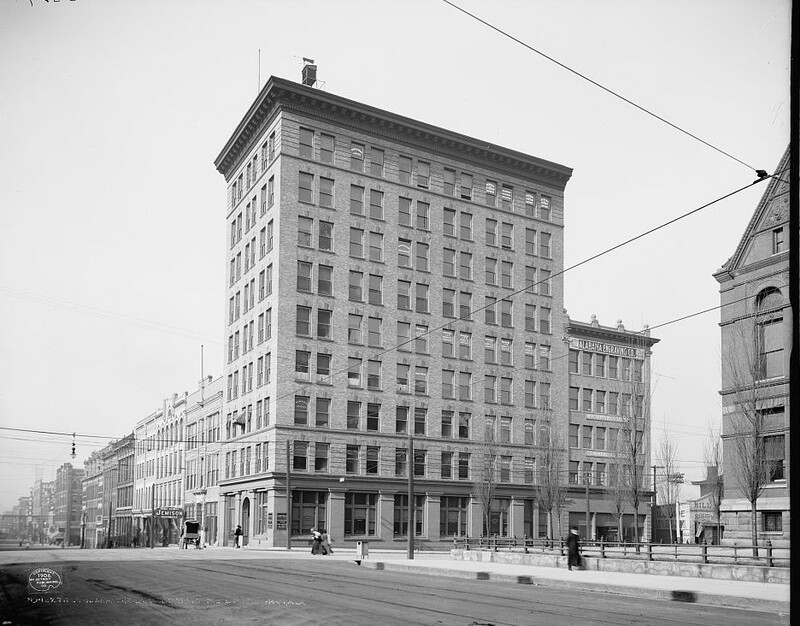 The company continued prosperous until 1896, but during the next three years it was in financial straits, and in 1899 its property was sold under foreclosure, brought in by a committee representing the bondholders and the stockholders, and transferred to a new company known as the Birmingham Realty Co. 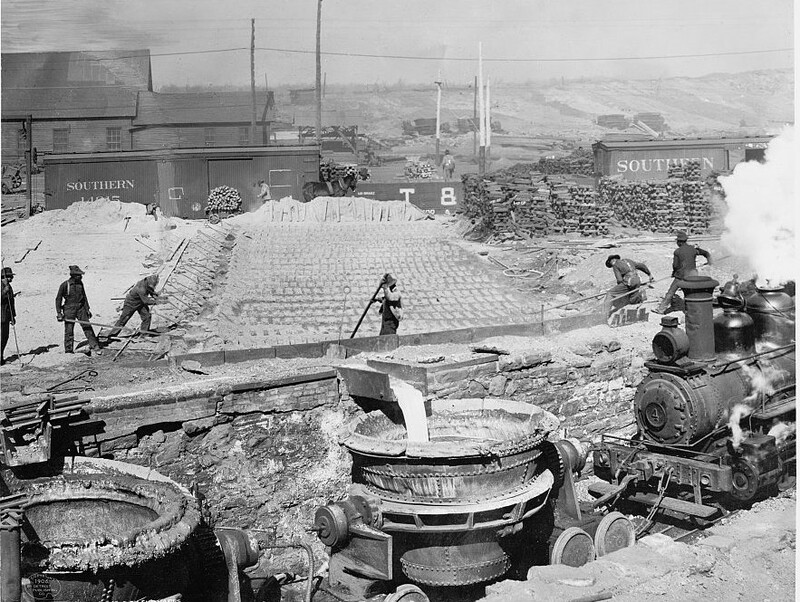 Almost before the building of the town of Birmingham had been commenced, the Elyton Land Co., with confidence in its future development, began the construction of a waterworks system to supply its needs. 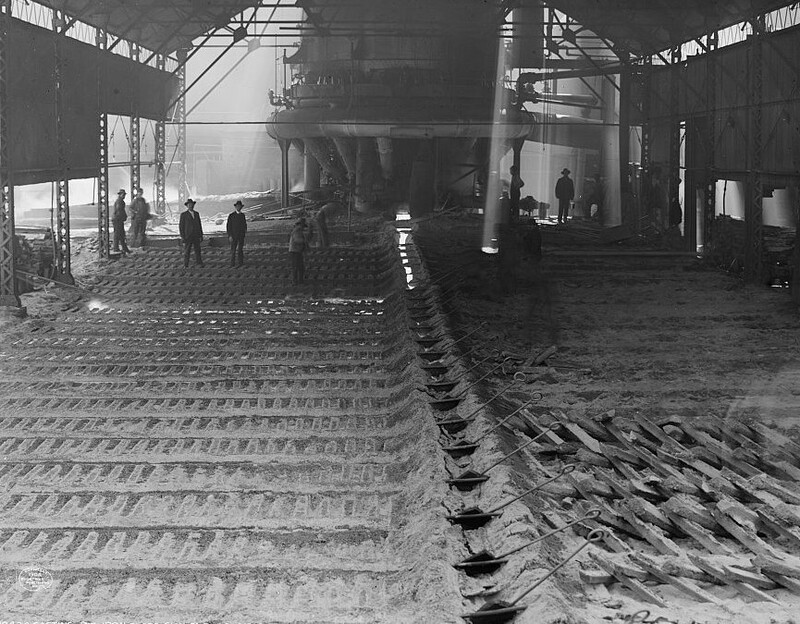 Work was started in November 1872, and continued through 1873 and 1874, some additions being made in the latter year. 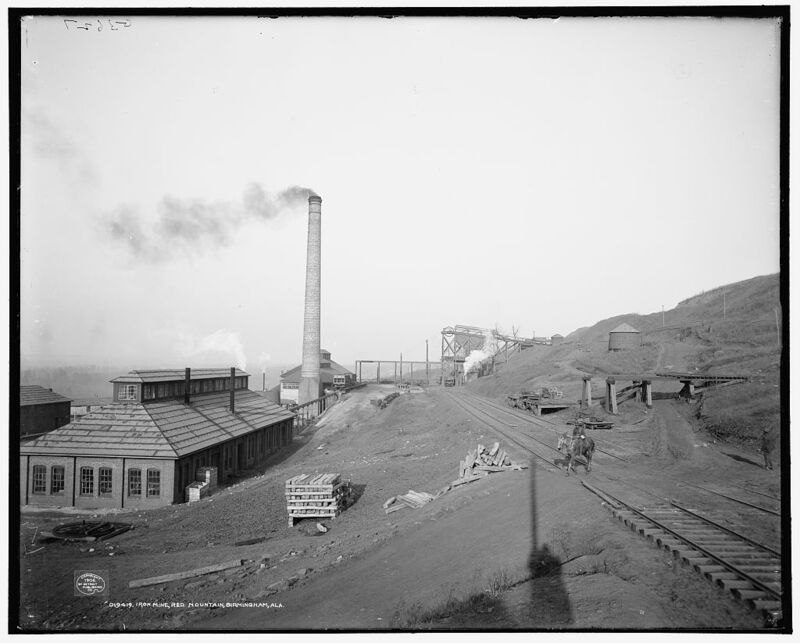 The plant consisted, on January 1, 1875, of a small steam pump, about 4U miles of mains, and a reservoir of about 1,000,000 gallons capacity, all of which had cost about $60,000. The source of supply was Village Creek, 2 miles north of the town. 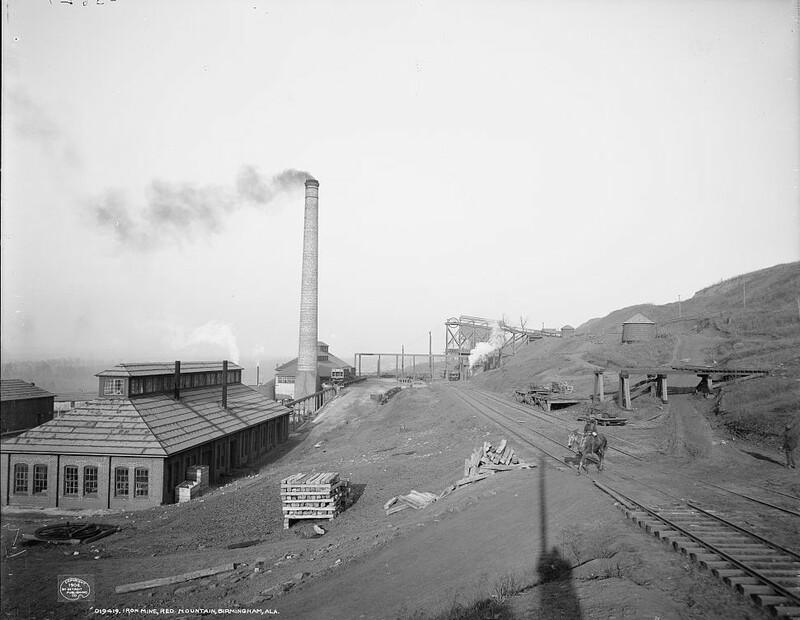 In 1879-80 the mains were extended to the Alice furnace at the rolling mills and increased pumping, storing and distributing facilities were provided during 1881-2. The system has since been extended to meet the growing needs of the community. An unusual feature of the charter was the provision that the mayor and seven aldermen should be appointed by the governor instead of being elected by the people of the city. This provision was put into the act of incorporation, it is said, to prevent the control of municipal affairs from getting into the hands of the reckless and undesirable element which predominated at that time among the town’s inhabitants. 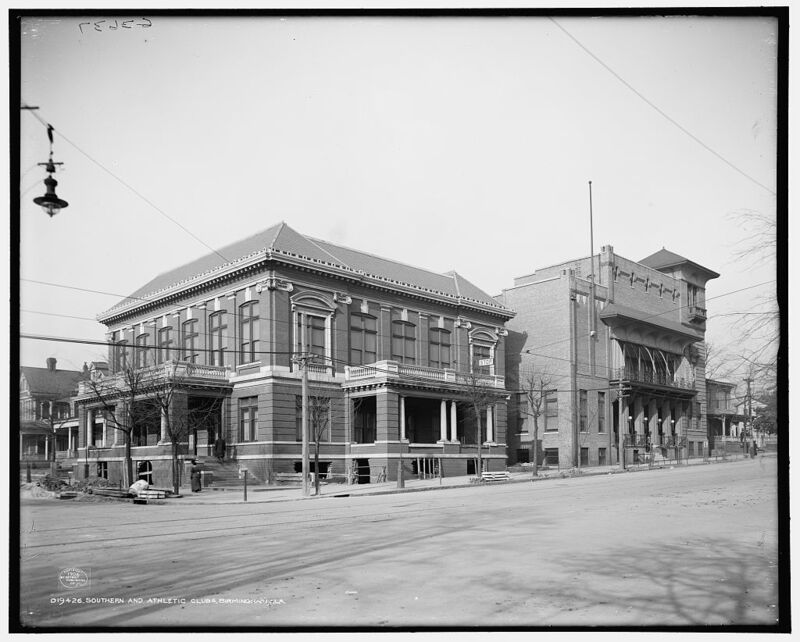 On March 5, 1873. the legislature authorized an election to be held in Jefferson County on the first Monday of the following May, to determine whether or not the county courthouse should be moved from Elyton to Birmingham. 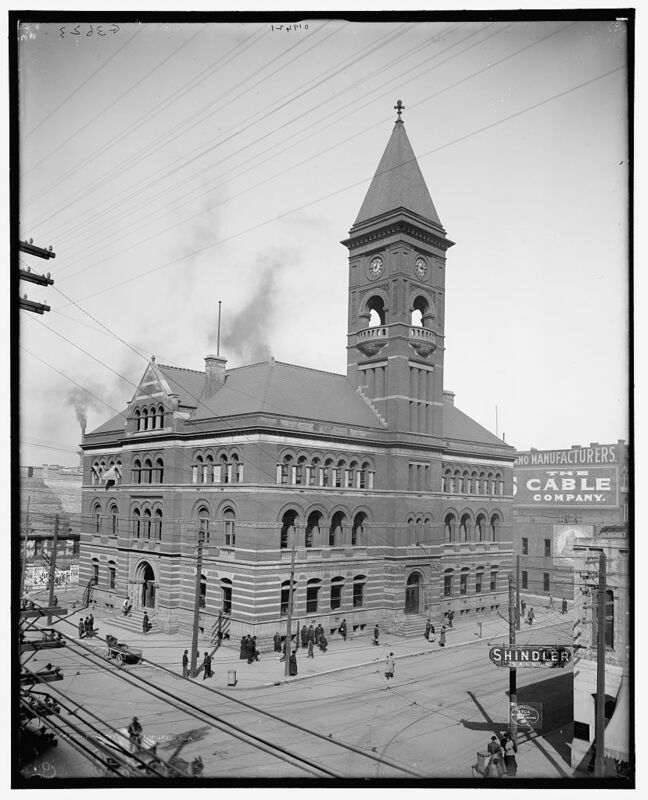 The decision was in favor of Birmingham, by a large majority, and it has continued the county seat until the present time. 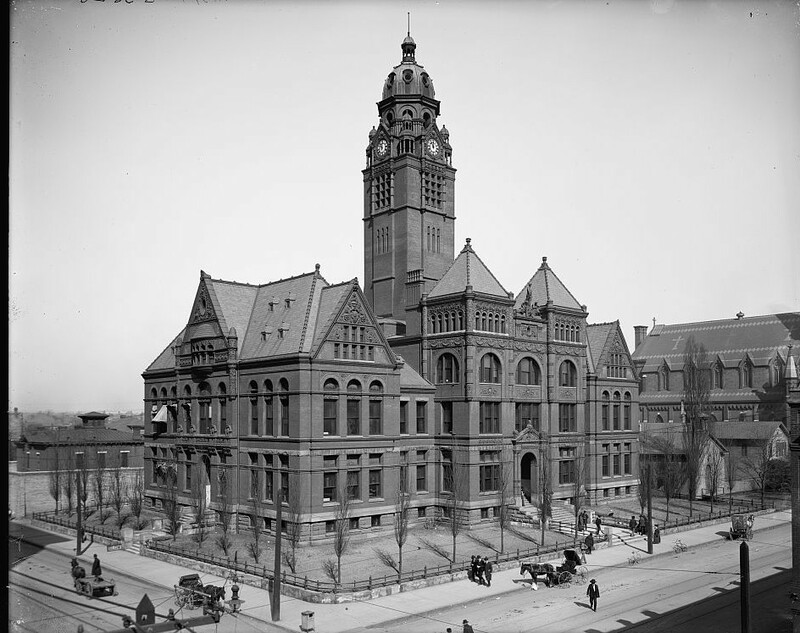 The county now has a magnificent courthouse, in keeping with the importance of the city, at the corner of Third Avenue and 21st Street. The first church edifice completed in Birmingham was the Church of the Advent, Protestant Episcopal, which was occupied in the spring of 1873. Disciples of Christ, or Christian, organized in April 1885. 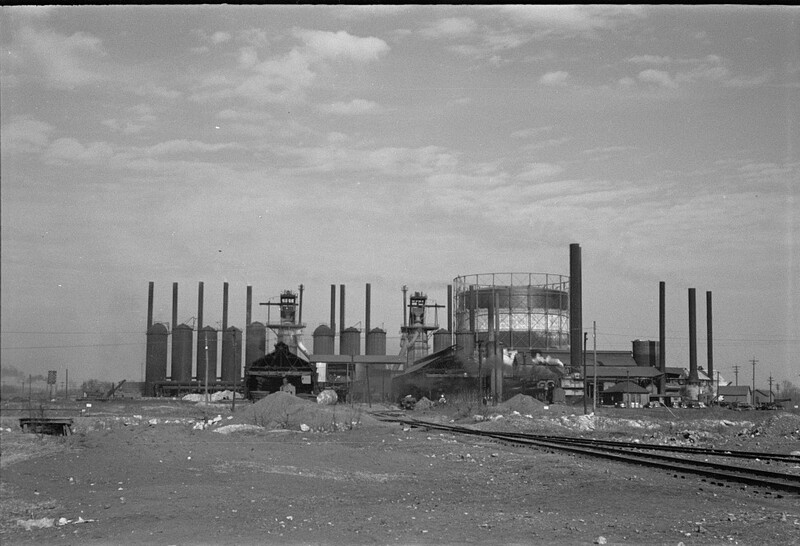 When the agitation was started, a good deal of opposition to the inclusion of some of these towns arose among their inhabitants, especially among the owners of the industrial plants and the larger property holders. For this reason, the legislature, while prescribing the new limits tentatively, left the decision to the votes of the qualified electors residing in all the territory which would be affected. 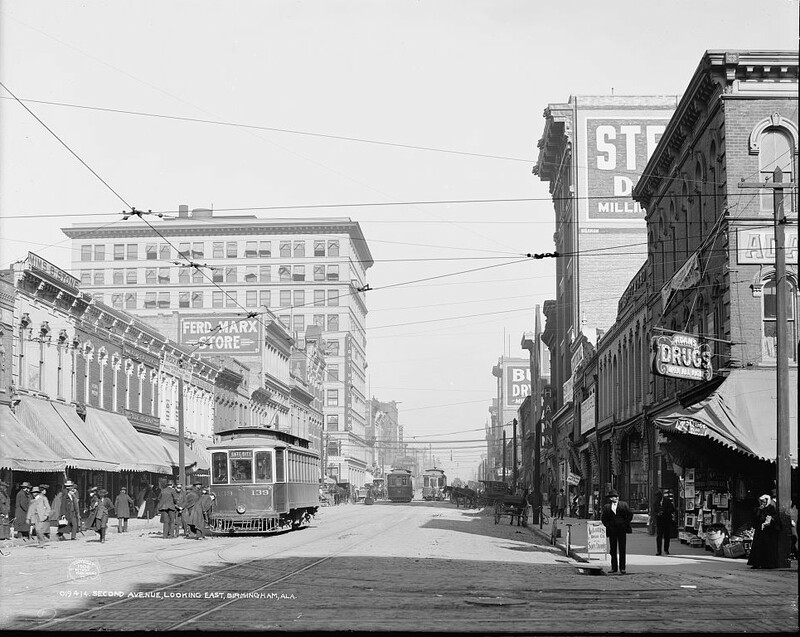 The contest was heated, but resulted in an enthusiastic popular endorsement of the plan for a great city; and “Greater Birmingham” is now in population probably the third city in the South, being exceeded only by New Orleans and Louisville. 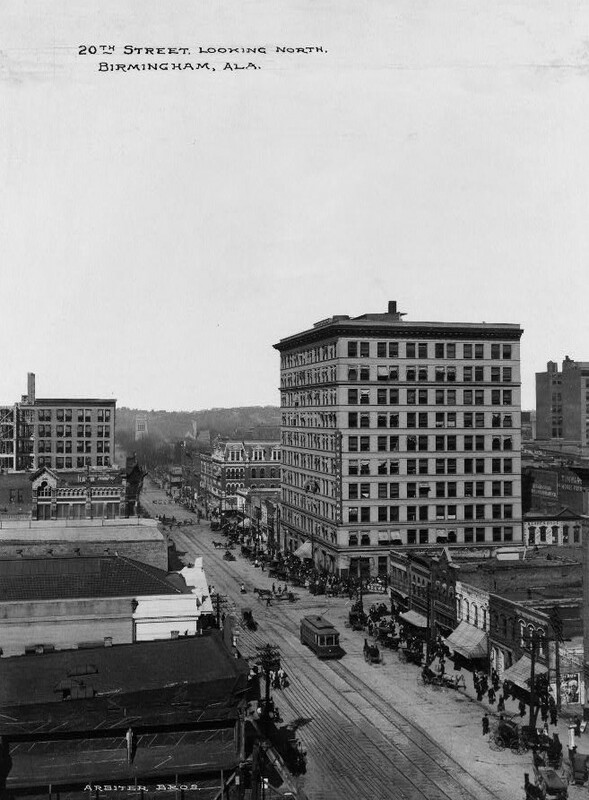 From its incorporation until April 10, 1911, Birmingham was governed by a mayor and board of aldermen; but on that date the plan of commission government provided for cities of 100,000 or more population by act of the legislature, March 31, 1911, became effective in Birmingham, the only city in the class to which the law applied. 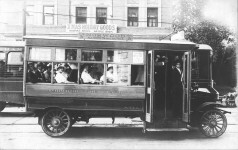 The commission has three members; and the city government is divided into three departments—finance, streets and parks, and public justice—each under the immediate supervision of one commissioner in his capacity of executive officer, while the commission collectively constitutes the legislative department. 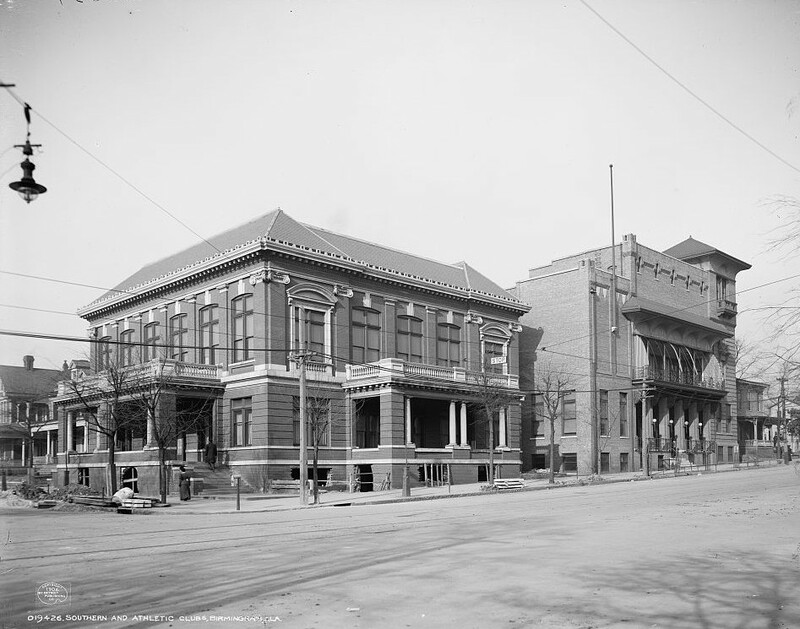 The foregoing plan was changed by the legislature, September 25, 1915, so as to substitute for the commission of three members serving three years, one of five members serving four years. Under the new plan, there are five administrative departments, each in charge of a commissioner chosen by the commission collectively, namely, (1) department of general administration, finances and accounts; (2) department of public improvements; (3) department of public property and public utilities; (4) department of public safety; (5) department of public health and education. The powers and duties of each of these departments are prescribed by the commission as a whole; however, the law stipulates that the president of the commission shall be the general executive officer of the city, “charged with the general supervision and direction of its affairs.” The president receives $5,000 and each of the other members, $4,000 a year; and all of them are required to devote their entire time to the duties of their offices. Candidates for election as commissioner are nominated by petition, which must be signed by at least 200 qualified voters and a majority of the votes cast for any office is requisite to the election. Any commissioner may be recalled upon petition of not less than 3,000 voters; and ordinances may be introduced, or initiated, by petition of 1,500 voters, whereupon they must either be enacted by the commission or submitted to the vote of the people at a referendum election. 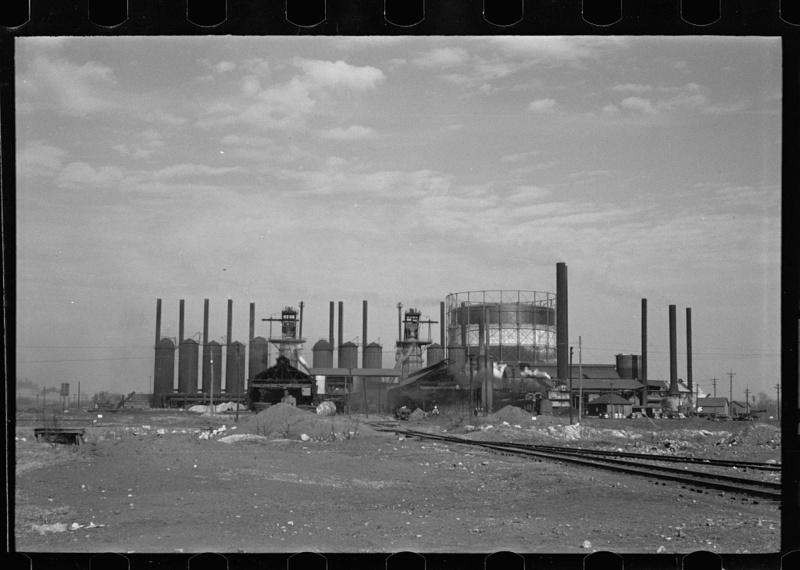 Industrially and financially the city is so closely identified with what is known as the Birmingham mineral district that these phases of the history of the two are practically inseparable. The growth of the city’s population is elsewhere commented on. Its growth in industrial importance is well exhibited by a comparison of the average number of wage earners and the value of marketed products at different periods of time. 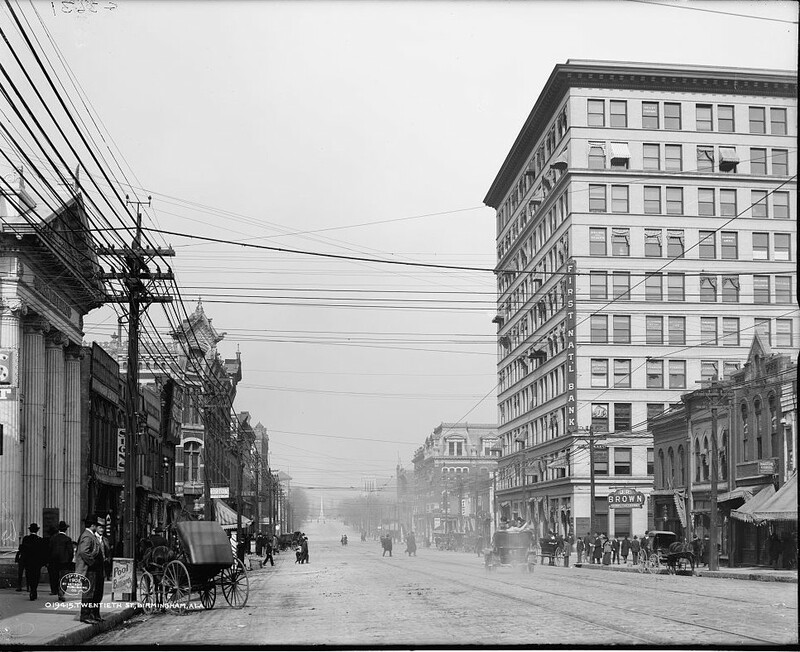 During 1899 there was in the city an average of 3,490 wage earners, and the value of industrial products was $8,599,418. During 1904 the figures were 3,987 and $7,592,958, respectively. During 1909, the latest available data, the average number of wage earners was 8,999, and the value of products, $24,128,214, an increase over 1899 of 157.85 percent in the former, and 180.58 percent in the latter. 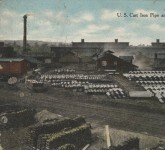 There were 109 industrial establishments of all kinds in the city in 1899, whose combined capital was $4,314,000; and 122 in 1904, capitalized at $5,739,000. 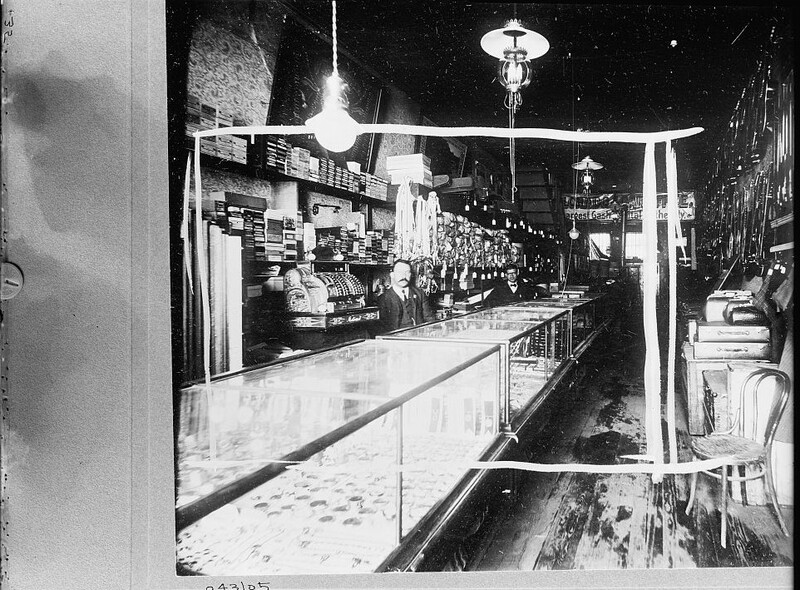 In 1909 there were 248 establishments whose capital aggregated $23,718,000; an increase over 1899 of 127.52 per cent in the number of industries, and 449.79 per cent in value of products. 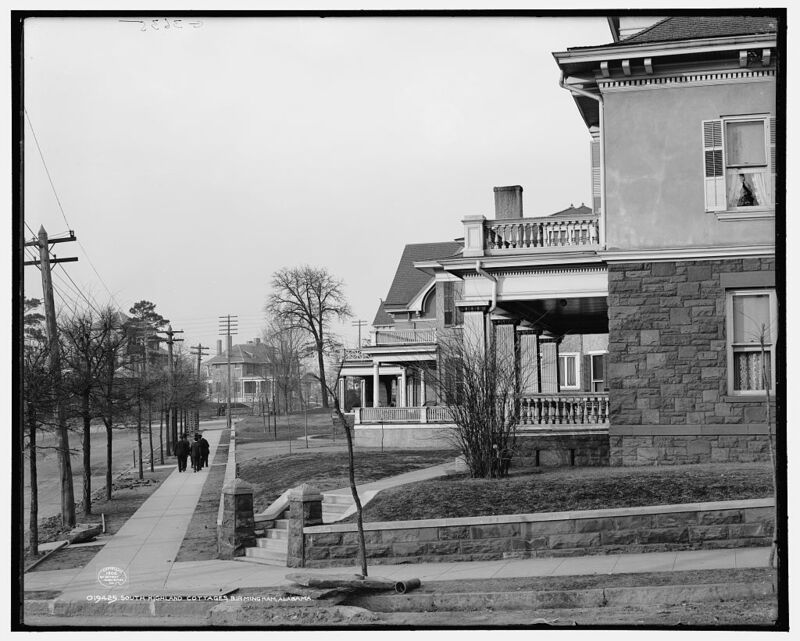 Among the early settlers and builders of the city the following may be mentioned: John T. Milner, Maj. Thomas Peters, Maj. A. Marre, Col. James R. Powell, Dr. Henry M. Caldwell, Maj. Willis J. Milner, Col. J. W. Sloss, Henry F. DeBardeleben, Robert H. Henley, Willis Roberts, Judge W. S. Mudd, John T. Heflin, Alexander O. Lane, Robert A. McAdory, James E. Webb, Oscar W. Underwood, David B. 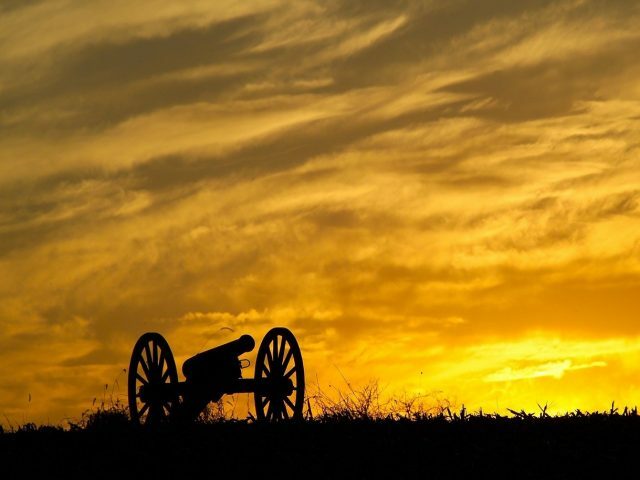 Grace, William Berney, Robert Jemison, B. F. Roden, William T. Underwood, C. P. Williamson, James A. VanHoose. Ibid. 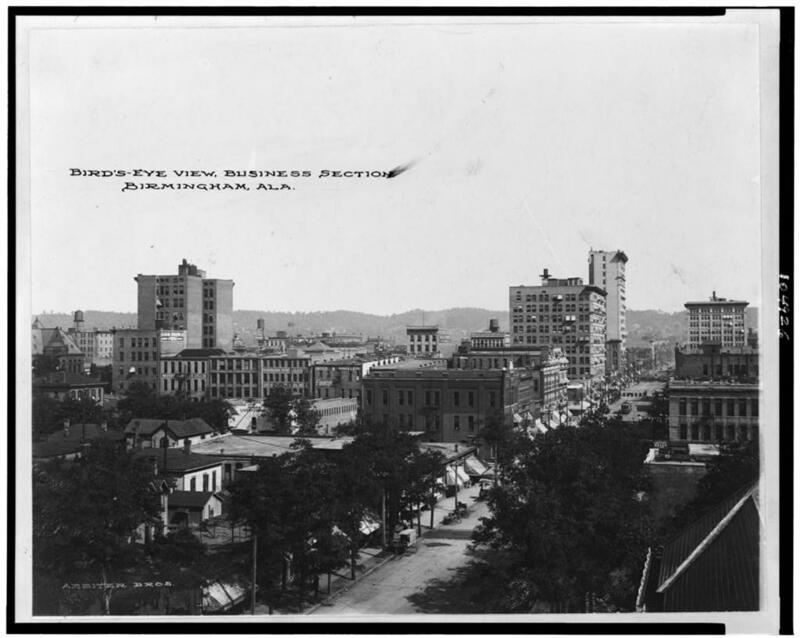 June 1, 1904; Birmingham and vicinity, a brief review (1898, pp. 16). Filled with drama, suspense, humor, and romance, DISCORDANCE continues the family saga from the Tapestry of Love series with the children of Mary Dixon who married Thomas Cottingham. Inspired by true events and the Cottingham family that resided in 17th century Somerset, Maryland and Delaware, colonial America comes alive with pirate attacks, religious discord, and governmental disagreements in the pre-Revolutionary War days of America. Have you heard all the episodes of our Alabama Grist Mill Podcasts? That’s the old Terminal Station in the picture. That was one of my earliest memories of Birmingham. I remember the street tunneled under the building. Someone should rebuild terminal station. It doesn’t have to be a train station. It could be a hotel or anything really. 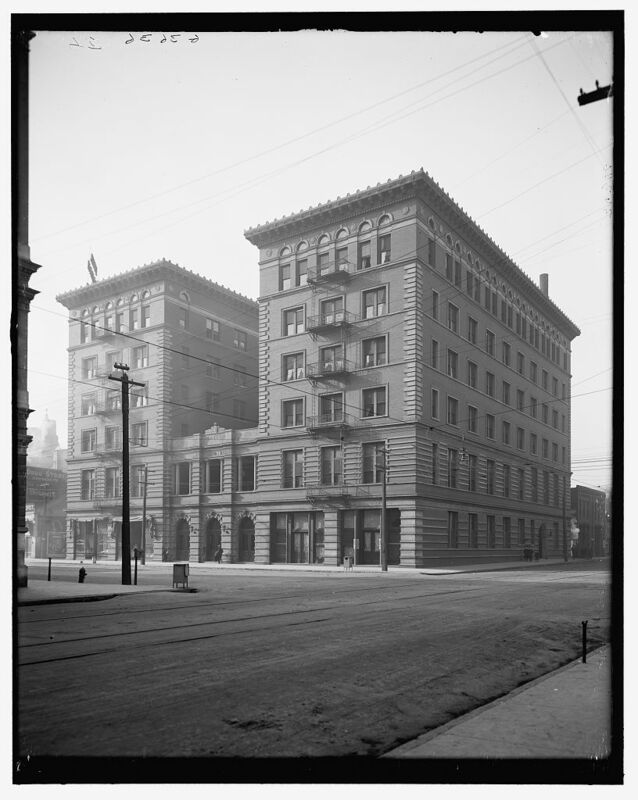 It is a shame that City Administrators bulldozed this historic building. 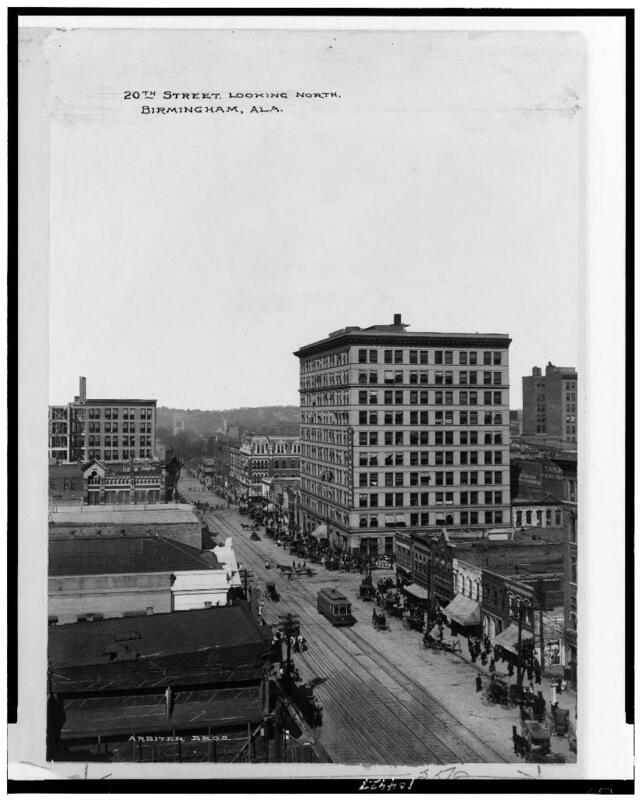 The first lot sold at 19th St and 2nd Ave, was that 2nd Ave North or South? What is in that specific location today? If you go back to about 1813 or 15 it would have been called frog Level. And it would have been where the old Elyton School sits today. That was going to get the Jefferson county seat. In 1820 it changed the name to Elyton. 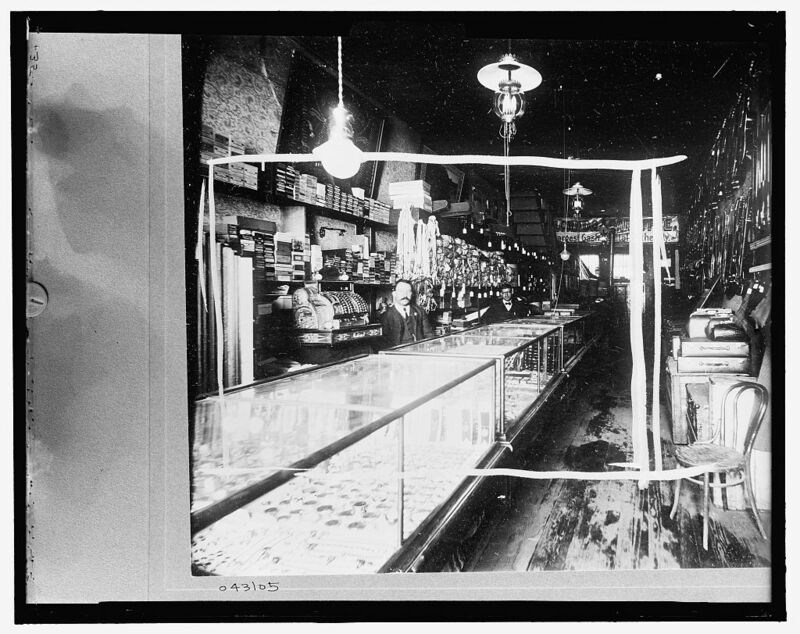 The area was an old Indian trading site. 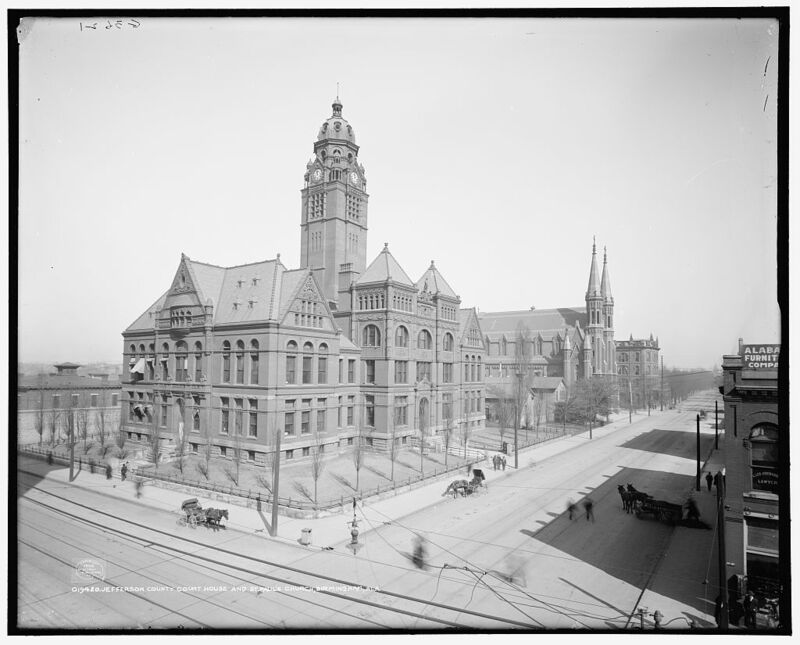 They built a courthouse there and William Mudd became the circuit judge there. He was the man who built Arlington. Located in the “northeaster” part of the state?… Oak Mountain in Bessemer?… Love how they showed the shotgun house neighborhoods… News reel must have been made in New York City. I think they meant the boys were housed in Bessemer, not that Oak Mtn was there. I agree about “northeastern.” Bad compass? 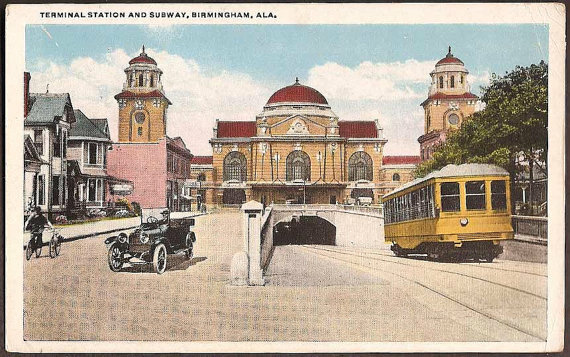 Is that the old train station that should have never been torn down? 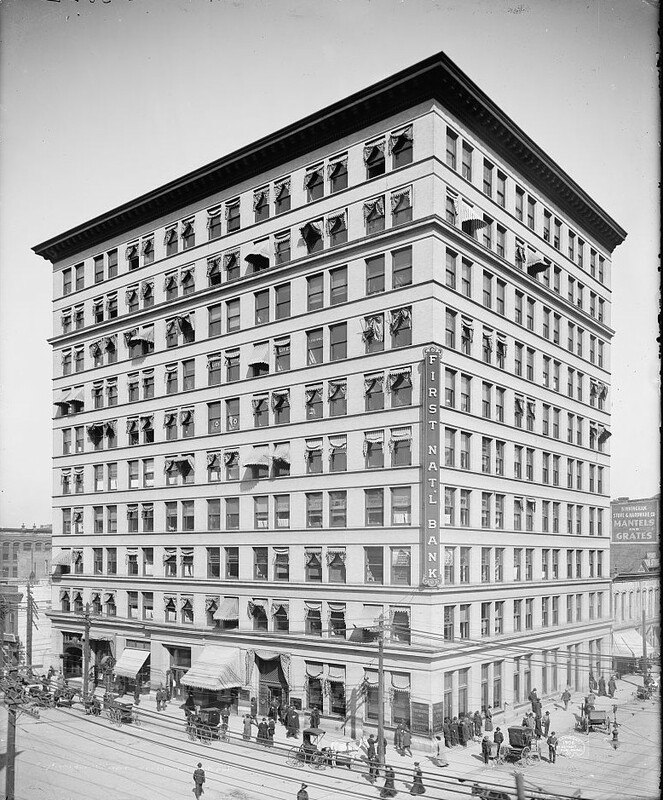 I still hate that this building was destroyed! That was only one of the stupid things that Birmingham did!